The Earth may be huge but most of the earth is covered in water. To be precise, close to 79% of the Earth is covered in water which means that all land animals have to share the remaining 21%. This is including all the uninhabitable areas of the earth like deep forests and icy tundras and deserts. Now that you know how vast the Oceans are, imagine how much life would be present in them and how much of it would be downright terrifying. Life developed in the oceans so there are tons of more species in the oceans than on land. It is estimated that we have only properly documented about 5% of the oceans and the creatures in them. As we go deeper inside the oceans, we can find several different species most of which are very strange and mysterious. Here are some terrifying sea creatures that make the list. Very little is known about this fish as it resides deep inside the ocean and is very hard to capture and study. Hatchetfish live in the tropical waters of the Atlantic, Pacific and Indian Ocean. 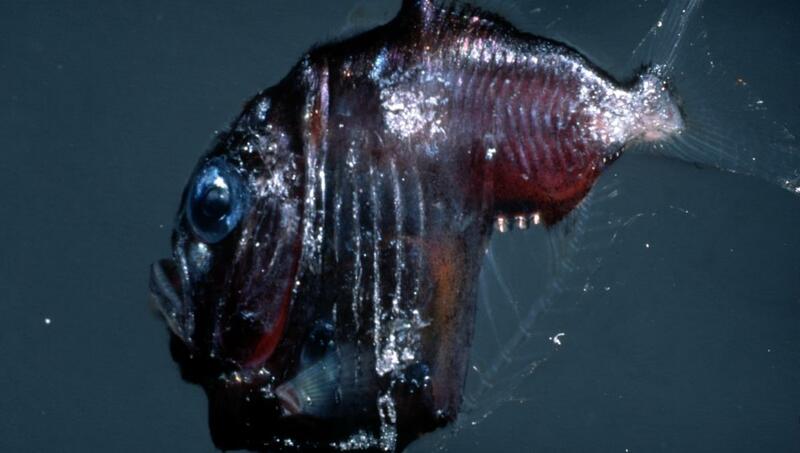 Hatchetfish live at a depth of around 50 metres which is still very deep and little light penetrates through the ocean. The hatchetfish are unique in the way that they have evolved bioluminescence. This is the process by which the fish itself glows because of organisms co existing on its body. This helps the firsh confuse its predators. The fish itself is very scary to look at and it is shaped like a hatchet. This is one of the strangest creatures on our list for the peculiar evolution it has gone through. 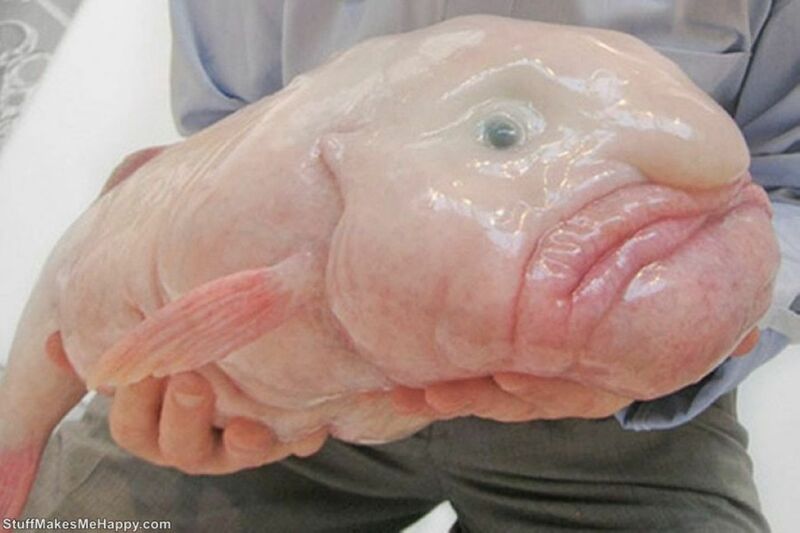 Since this fish lives deep underwater it has to resist the huge pressure of water at that level. Over millions of years, the dropfish has evolved in such a way that the density of its skin equalizes with the pressure of the water. This means that it can only survive in that particular depth and not come upto the surface. If taken to the surface, the dropfish literally droops and all of its features droop down because of the reduction in pressure. The dropfish uses the density of its skin and the pressure of water to feed itself. This is the smallest of creatures on our list measuring in at only a couple of inches. 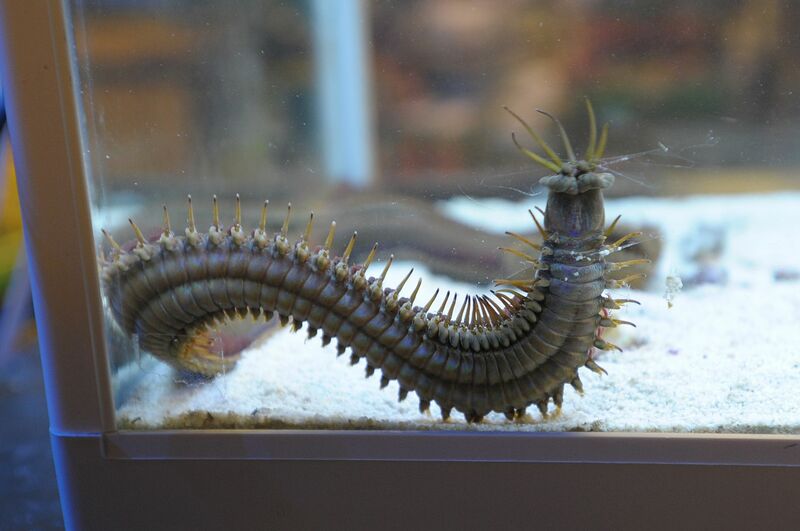 The worm can crawl on the ocean floor and can float through water. 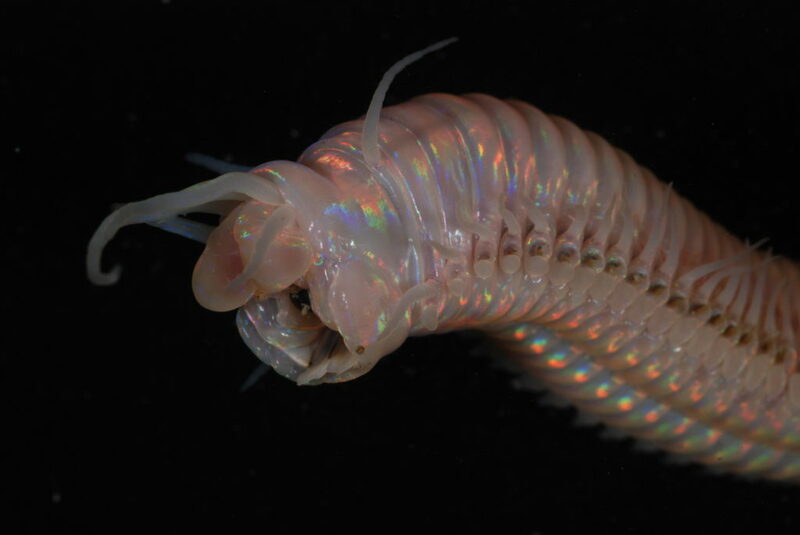 It can be found at a depth of 3 kilometres and was only recently discovered. The worm feeds on sea snow which is mixture of decomposing animals and plants and animal droppings and micro organisms. This is the most terrifying creature on our list and can grow up to 2 metres in length. This monster buries itself underground and only sticks its tentacles out on the sea. This makes for amazing camouflage and helps the bobbit grab unsuspecting prey. It will be quite a shock if a human steps on it but that is highly unlikely due to the fact that the worm dwells in the ocean floor. These are some of the most terrifying creatures discovered in recent times. There are still several more creatures in the depths of the ocean and if you would like to know more about these creatures, comment down below!